Imagine this classic in your home. You have seen it everywhere. Fashion magazines love it. Hotels want it. Museums admire it. 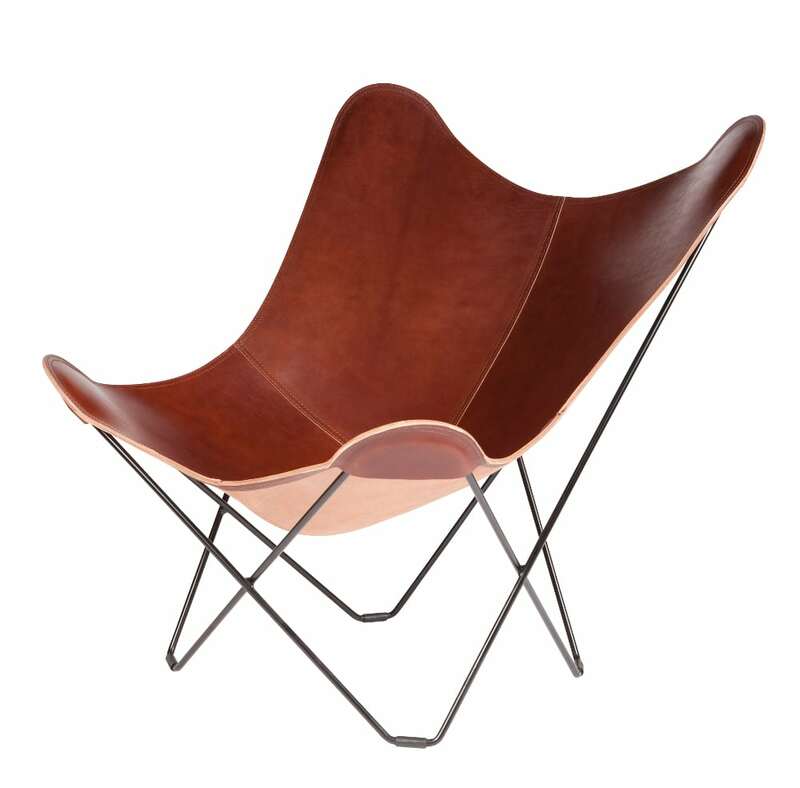 This is the Leather Butterfly Chair you have been looking for. If you can only choose one piece of classical furniture for your home, this is the one you must have. You are the owner of a book shop. A customer comes in and asks you for Oliver Twist. You suddenly realize that you have forgotten to include it in your collection. How can a book shop not offer a classical masterpiece? Forgetting a Leather Butterfly Chair in your design collection is the same. My father always had a problem with the Butterfly Chair. It was uncomfortable to sit in, and he thought that the edges were too pointy. They broke the harmony of a perfectly decorated room. So, he embarked on a design Odyssey that took more than 15 years. 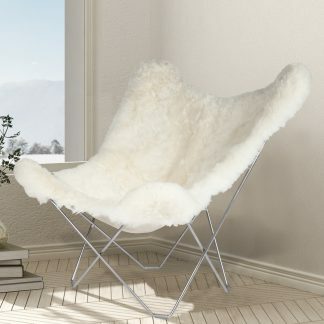 The result was this beautiful lounge chair that you see here. This version is considered by many to be the most beautiful butterfly chair in the world. And it is also one of the most comfortable design chairs. Today, my wife and I are still producing the same chairs that my father perfected. We make them in Sweden with the best leather there is on the market. Our hope is that you and your loved ones will be able to enjoy it for several generations. Our clients are willing to pay a little extra to get the very best comfort and quality. They don’t care if they can save money on a chair that might break or be uncomfortable to sit in. So, naturally, they buy what they think is the best. The reason we know this is because we have very good relationships with our clients. 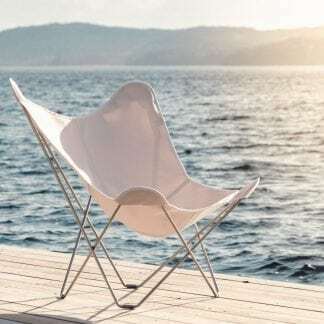 They have been looking for a butterfly chair for a long time, performing both extensive online research and visiting shops to compare physical chairs with each other. After their careful research, our customers have come to the conclusion that this is the best butterfly chair in the world. The very best Italian leather is combined with Swedish steel to create state of the art interior decoration. 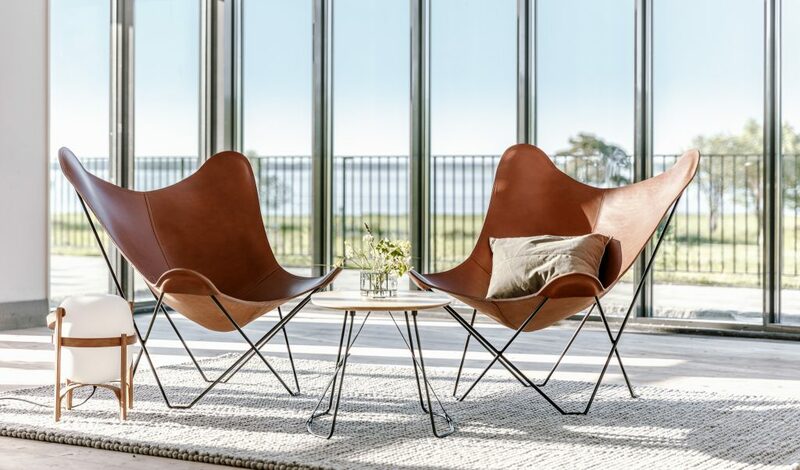 The Butterfly Chair is made deep in the Swedish forests with a clear focus on quality and sustainability. Modern machines are used to cut and bend our steel with robotic precision while a human touch is required to carefully select the best leather. 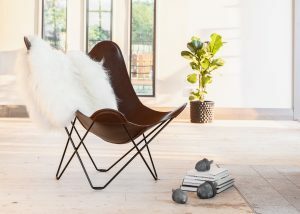 The environment will thank you for using this butterfly chair, as it is made of vegetable tanned leather and shipped in a flat package. It’s clear that Cuero Design is a place where nature meets art. 4 mm thick leather guarantees that your chair will maintain its shape forever. 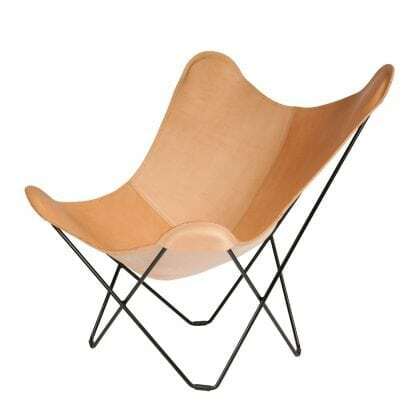 In the beginning, my father used to make the chairs with 3 mm leather. It was standard practice and why shouldn’t he do the same? Only he quickly realised that after using the chair for a few months, the leather started to stretch. It made the whole chair sink down and it lost its beautiful shape. It also became more uncomfortable to sit in. He was not proud of his chair at that point and he wanted something that you can pass on for generations. In his search for a tougher chair, he came to the conclusion that he needed to go up one millimeter in leather thickness. This was a very tough decision for him to make because he knew it would increase the final price of the chair a lot. You see, the cost of producing leather is by weight. The heavier the leather, the more tannins you need to make it. And one millimeter may not sound much but between 3 mm and 4 mm, there is a 33% increase in production cost! Standing there on the crossroad, he decided to take the path of amazing quality instead of letting you think that you were saving money by buying a chair that will turn out to be no good after just a few years. That’s the only reason why this chair is more expensive than other butterfly chairs. Unlike many other famous design companies, we do not charge extra for our brand name. We only charge for the great quality materials that we use. Only the very best of the best is good enough for you. We take this policy very seriously. So we only buy the finest 0.1% of all the leather in the world. This means that 99.9% of all the leather is discarded in our selection process. Well, first of all, we only use vegetable tanned leather which is only 5% of all the leather in the world. Of this, we can only use 4 mm leather which is less than 20% of all the leather. When we are finished with our tough selection criteria, we have selected away 99.% of all the leather in the world! When you see, smell and touch this leather, you will feel like you are in a beautiful vineyard, surrounded by mountains and grapes. This leather is a by-product from meat production. If you want to know more about our selection process, please contact us and we’ll happily answer any questions you may have. 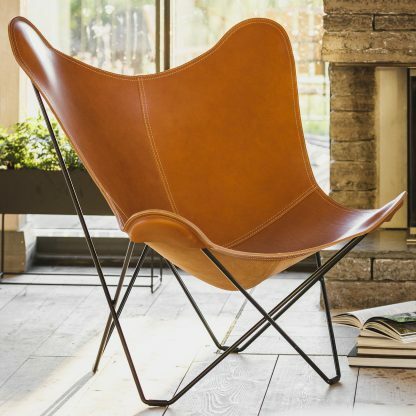 Who Else Loves This Leather Butterfly Chair? Celebrities – Famous football players, musicians, Formula 1 drivers and musicians enjoy our chairs in their homes. We cannot mention their names out of respect for their privacy. Architects & Interior Designers – Our chairs are used to decorate luxury hotels such as the Ice Hotel in Northern Sweden and the Arctic Treehouse in Finnish Lapland. Professionals love the superior quality and comfort of our chairs, as well as the great service we provide upon delivery. It’s also extremely easy to open trade accounts and place orders with us. Just go to the contact page and write to us. 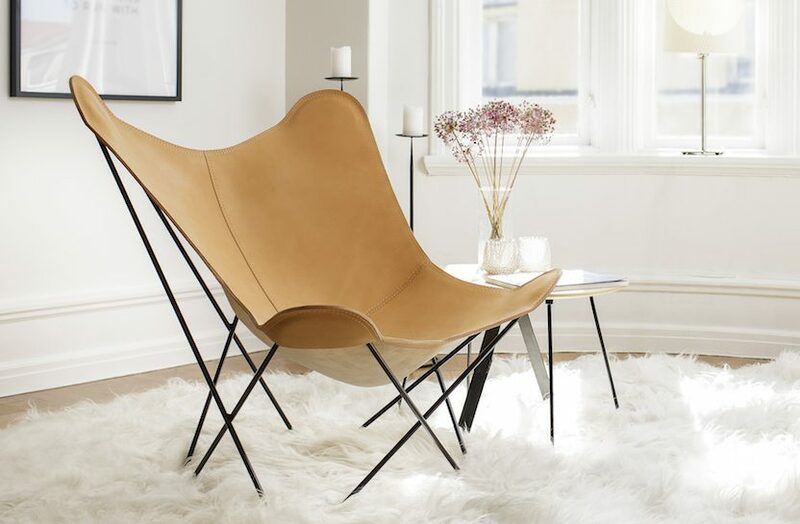 Famous Bloggers – Our Pampa Mariposa butterfly chair is extremely photogenic. It doesn’t matter which angle you have or how the lighting conditions are, the pictures will always look great. Its wide “wings” also make you look more beautiful when you sit in it. That’s why many bloggers buy our chairs and use them frequently in their blog posts. Gamers – If you enjoy playing console games, this is the ultimate console game chair. The comfortable lounging position it puts you in makes it possible for you to spend hours winning that game without feeling uncomfortable. And since it’s so beautiful, you won’t hear any complaints from any non-gaming family members. Homes – Not only will you impress anyone who visits you, you will also become more productive and enjoy spending more time at home rather than spending money to escape your home. Offices – Beautiful design will subconsciously impress your customers and your colleagues, helping you further your career and ultimately making more money. Hotels – Guests love to take pictures of themselves sitting in this chair and posting them on social media. Many luxury hotels have had great free marketing just by having these chairs in the lobby or, even better, two in each room. It also increases guest satisfaction making your guests want to come back to your hotel time after time. Art Galleries & Events – Some of the biggest car brands use our chairs to decorate their big customer events. It makes your party the most desirable place to be that evening. Advertisement Campaigns – The chair works very well together with any product you want to sell. Use our chair together with your products and your marketing campaign will be a success! 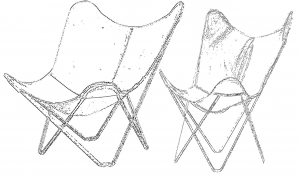 Blogs & Magazines – You may have seen our chairs at the cover of prestigious magazines. 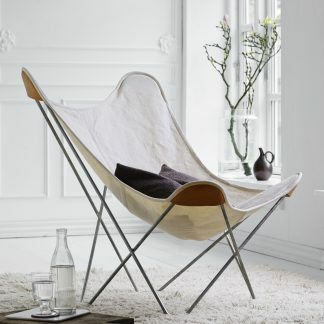 This is because it fits well in any environment, be it modern, classic, minimalistic or rustic. We want your butterfly chair to last for a very long time. As the matter of fact, the leather butterfly chair has been made with special care for extra durability. There are a few saddles that were made in the late 19th century that are still being used today. These saddles were made with the same type of leather and crafting techniques we use to make this BKF chair today. If you treat it right, you should be able to pass it on to several generations after you. While we cannot speak for how you will take care of your chair, we can promise you this; We promise you that the leather will last for a lifetime if you treat it correctly and that the stitching will last for at least five years. Whether you buy it from one of our retailers or directly here on our website, we will stay true to this promise. It holds up in addition to any warranty our retailers may offer. Contrary to what you may have experienced many times before, you will never feel abandoned by us. 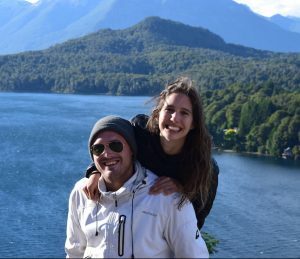 We are a small and niched company so we have to give you the very best service possible since we simply cannot afford to risk a bad reputation. In order to truly appreciate high quality, one must see it in real life. You are welcome to visit one of our retailers to try a leather butterfly chair for yourself. See the perfect imperfections of Italian leather. Feel the thickness of it. Smell the natural aroma from the vegetable tanning process. Experience the true meaning of the word Luxury. If you do not live near one of our retailers, you are welcome to buy the chair from us and use our free return policy. Get the chair home, try it for a week and if it doesn’t convince you fully, you can always send it back and get a full refund. This is valid anywhere in the world. You don’t have to worry about delivery as we have already sent chair to places you didn’t even know existed, such as small tropical island nations and countries with very strict import policies. Please do note that you will be charged local import taxes by your government if you are located outside of the European Union. Questions? Click on the link below to ask us. Or Find your answer here. Are you looking for a butterfly chair cushion to rest your head? Click here. Thank you so much for the kind words Budi. We are really happy that you are happy with your butterfly chair and with our service. We wish you many cosy evenings with your leather butterfly chair. Thank you so much for your kind words Lara! I hope you are still enjoying your chair. The chair is amazing! Its comfortable, sturdy, and just plain beautiful. In my opinion it looks even better in person. On top of that the chair is backed by an honest and passionate group of professionals. I cannot recommend this company and thier chair enough. Thank you so much Justin. It was a pleasure to help you with your Butterfly Chair. Thank you Nils and Cuero team for sending this beautiful chair to Japan. I enjoyed the process of communicating and getting updates from Sweden, and finally meeting this lovely chair. Excited to watch how the leather color and texture develops as time goes by. Thank you very much Tom! We are glad that you are happy with your butterfly chair and we promise that you will fall in love even more as times goes by. Very beautiful chair, the leather is thick and need time to soften never the less it’s comfortable since the first seat. High quality materials, perfect proportions and dimensions. A particular recommendation for breastfeeding, the posture it gives is simply perfect. A last notation for the service: good job guys!! Thank you very much for your lovely comment Nicolò. We are extremely happy that your butterfly chair is the perfect breastfeeding chair for your baby. We wish you many happy moments with your little child.